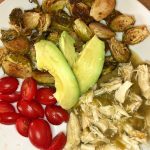 This is by far the easiest healthy green chile chicken recipe, you basically add all the ingredients to the slow cooker and leave it for half the day and it’s ready at dinner time!! Plus, my whole family loves this one!! 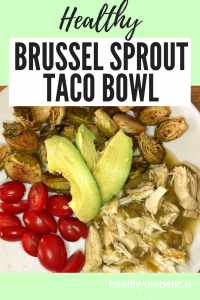 Last time I made the green chile recipe in the slow cooker, I created a brussel sprout taco bowl. 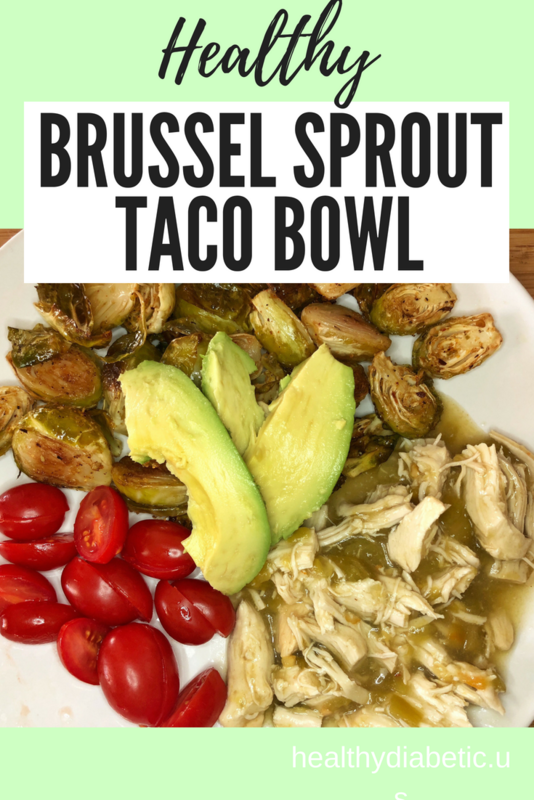 Here’s the brussel sprouts recipe. 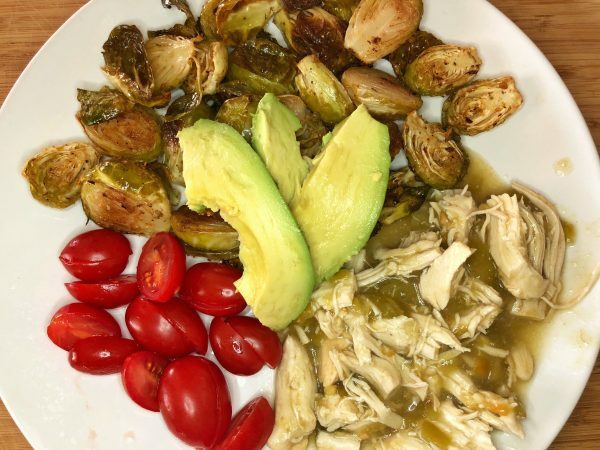 Turn on the slow cooker to high, add chicken breasts and all the ingredients, mix and cook for 4 hours on high. When the chicken is easily shredded with two forks, it's ready to eat. You can shred it and put it back in the sauce on low for a while (20-30 mins) if you like your chicken juicer.